The details regarding the TSTRANSCO Assistant Engineer Hall Ticket are available on this page. Candidates waiting for the TSTRANSCO Admit Card 2019 can get the complete information from our page. Also, you can download the admit card using the link given below. The Officials of the Telangana State Transmission Corporation Limited (TSTRANSCO) announced the examination date and the admit card release date is to be mentioned soon. The TSTRANSCO Examination will be conducted on 11th March 2019 and the admit cards will be released in the month of February/ March 2019. So, applied candidates can directly check this page to download the valid TSTRANSCO Hall Ticket. Refer to the below sections for the complete details. You can also visit the official website tstransco.in for further information. Candidates appearing for the TSTRANSCO AE Examination can find the details regarding the examination on our page. Aspirants registered for the TSTRANSCO AE post will get their admit cards in the month of February/ March 2019. Moreover, you can also download the admit card by using the link given at the bottom of the page. Also, the TSTRANSCO Assistant Engineer Examination will be on 11th March 2019. Before going to the exam, you must carry some mandatory documents to the examination center. You can find the details regarding those documents in the below sections. There are some mandatory documents need to carry to the examination hall. List of those documents is given below. Candidates note them carefully and make sure that you carry any of the documents along with you. Candidates without any of these documents are not allowed to the examination. Initially, enter into the official website of the Telangana State Transmission Corporation Limited @ tstransco.in. You will get the home screen of the website on your screen. You can see the flashing links on the home page. Search for the Assistant Engineer Admit Card link. Click on that link and enter the details asked. After checking the particulars, click on the submit button. Then, you will receive the admit card. Download it and take copies of that TSTRANSCO Admit Card. 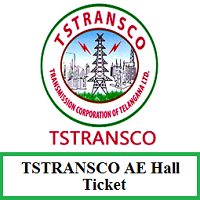 Candidates applied for the post of Assistant Engineer can download the TSTRANSCO Hall Ticket. The admit card download steps are given on this page. Read them carefully and download your valid admit card. We hope that the information given on this page is useful for your reference. If you have any queries you can ask us at www.freshersnow.com.